Surgent CPA Review provides its students with a uniquely focused and streamlined approach to passing the CPA exam. We update our online material at least quarterly to ensure that our students receive the most up-to-date information. The Quarter 1, 2016 test window is fast approaching, and to assist you in your studying, we have summarized the Financial Accounting and Reporting (FAR) standards that will become testable in that window. Some standards have been omitted from the list because the editors believe that the content of the standards is beyond the scope of the CPA exam (i.e., ASU No. 2015-06, 07, 08, and 09). We hope you find this helpful, and wish you good luck on your exam! The FASB received feedback that having different balance sheet presentation requirements for debt issuance costs and debt discounts and premiums created undo complexity. Recognizing debt issuance costs as a deferred charge (i.e., an asset) also conflicted with the guidance in International Financial Reporting Standards (IFRS), which requires that transaction costs be deducted from the carrying value of the financial liability and not recorded as separate assets. The amendments in this Update require that debt issuance costs related to a recognized debt liability be presented in the balance sheet as a direct deduction from the carrying amount of that debt liability, consistent with debt discounts. Note that the recognition and measurement guidance for debt issuance costs was not changed. Prior to this standard, a reporting entity with a fiscal year-end that did not match a month-end might incur more costs than other entities when measuring the fair value of plan assets of benefit plans. This was because third-party service provider information about the fair value of plan assets is usually reported as of month-end. That information then is adjusted to reflect the fair value of plan assets as of fiscal year-end. For these entities, this Update provides a practical expedient that permits the entity to measure defined benefit plan assets and obligations using the month-end that is closest to the entity’s fiscal year-end. An entity is required to disclose the accounting policy election and the date used to measure defined benefit plan assets and obligations. Note that employee benefit plans are not within the scope of the amendments in this Update. Prior to this standard, GAAP does not include any explicit guidance about a customer’s accounting for fees paid in a cloud computing arrangement. Examples of cloud computing arrangements include software as a service, platform as a service, infrastructure as a service, and other similar hosting arrangements. This Update provides guidance to customers about whether a cloud computing arrangement includes a software license. If it does, then the customer should account for the software license element of the arrangement consistent with the acquisition of other software licenses. If it does not, then the customer should account for the arrangement as a service contract. Now all software licenses within the scope of Subtopic 350-40 will be accounted for consistent with other licenses of intangible assets. Note that this guidance does not change GAAP for a customer’s accounting for service contracts. Prior to the issuance of this standard, GAAP required that investments for which fair value is measured at net asset value using the practical expedient provided in Topic 820 be categorized within the fair value hierarchy using criteria that differs from the criteria used to categorize other fair value measurements within the hierarchy. ASU 2015-07 eliminated this requirement, ensuring that all investments categorized in the fair value hierarchy use a consistent approach. Investments that calculate net asset value per share (or its equivalent), but for which the practical expedient is not applied, will continue to be included in the fair value hierarchy. This Statement provides guidance for determining a fair value measurement for financial reporting purposes, for applying fair value to certain investments, and for fair value measurement disclosures. Fair value is an exit price that is the price that would be received to sell an asset or paid to transfer a liability in an orderly transaction between market participants at the measurement date. Fair value measurements assume a transaction takes place in a government’s principal market, or a government’s most advantageous market in the absence of a principal market, under the assumption that general market participants would act in their economic best interest. For a nonfinancial asset, fair value measurements assume the highest and best use of the asset. For liabilities, measurement assumes that the liability would be transferred to a market participant and not settled with the counterparty. Fair value is not be adjusted for transaction costs. This Statement establishes a three-level hierarchy of valuation technique inputs. Level 1 inputs are quoted prices (unadjusted) in active markets for identical assets or liabilities. Level 2 inputs are inputs (other than quoted prices) included within Level 1 that are observable for the asset or liability, either directly or indirectly. Level 3 inputs are unobservable inputs, such as management’s assumption of the default rate among underlying mortgages of a mortgage-backed security. Appropriate valuation techniques include: the market approach, the cost approach, or the income approach. The market approach uses prices and other relevant information generated by market transactions involving identical or comparable assets, liabilities, or a group of assets and liabilities. The cost approach reflects the amount that would be required to replace the present service capacity of an asset. The income approach converts future amounts (such as cash flows or income and expenses) to a single current (discounted) amount. This Statement generally requires investments to be measured at fair value. An investment is defined as a security or other asset that (a) a government holds primarily for the purpose of income or profit and (b) has a present service capacity based solely on its ability to generate cash or to be sold to generate cash. Donated capital assets, donated works of art, historical treasures, and capital assets received in a service concession arrangement are measured at acquisition value (an entry price); these assets were previously required to be measured at fair value. The objective of this Statement is to improve the usefulness of information about pensions included in the general purpose external financial reports of state and local governments for making decisions and assessing accountability. The Statement establishes requirements for defined benefit and defined contribution pensions that are not within the scope of Statement No. 68, Accounting and Financial Reporting for Pensions. It also amends certain provisions of Statement No. 67, Financial Reporting for Pension Plans. The objective of this Statement is to improve the usefulness of information about postemployment benefits other than pensions included in the general purpose external financial reports of state and local governmental OPEB plans for making decisions and assessing accountability. The scope of this Statement includes OPEB plans—defined benefit and defined contribution—administered through trusts that meet certain criteria. This Statement replaces Statements No. 43 and No. 57, and includes requirements for defined contribution OPEB plans that replace the requirements for those OPEB plans in Statement No. 25, Statement 43, and Statement No. 50. The objective of this Statement is to improve accounting and financial reporting by state and local governments for postemployment benefits other than pensions. It also improves information provided by state and local governmental employers about financial support for OPEB that is provided by other entities. This Statement replaces the requirements of Statements No. 45 and No. 57, and establishes standards for recognizing and measuring liabilities, deferred outflows of resources, deferred inflows of resources, and expense/expenditures. 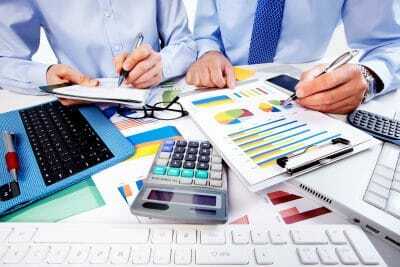 For defined benefit OPEB, this Statement identifies the methods and assumptions that are required to be used to project benefit payments, discount projected benefit payments to their actuarial present value, and attribute that present value to periods of employee service. Note disclosure and required supplementary information requirements about defined benefit OPEB also are addressed. The objective of this Statement is to identify the hierarchy of generally accepted accounting principles (GAAP). The “GAAP hierarchy” consists of the sources of accounting principles used to prepare financial statements of state and local governmental entities in conformity with GAAP and the framework for selecting those principles. This Statement supersedes Statement No. 55, reduces the GAAP hierarchy to two categories of authoritative GAAP, and addresses the use of authoritative and nonauthoritative literature in the event that the accounting treatment for a transaction or other event is not specified within a source of authoritative GAAP. The Statement also improve financial reporting by (1) raising the category of GASB Implementation Guides in the GAAP hierarchy, providing the opportunity for broader public input on implementation guidance; (2) emphasizing the importance of analogies to authoritative literature when the accounting treatment for an event is not specified in authoritative GAAP; and (3) requiring the consideration of consistency with the GASB Concepts Statements when evaluating accounting treatments specified in nonauthoritative literature. For more change alerts by testing quarter and topic, turn to Surgent CPA Review by subscribing to the Surgent CPA Review blog, Passing Insights.